If you want a mid-sized Volvo SUV then you can have one – it’s called an XC60. If you want a mid-sized Volvo estate car then you can have one of those, too – it’s called a V60. 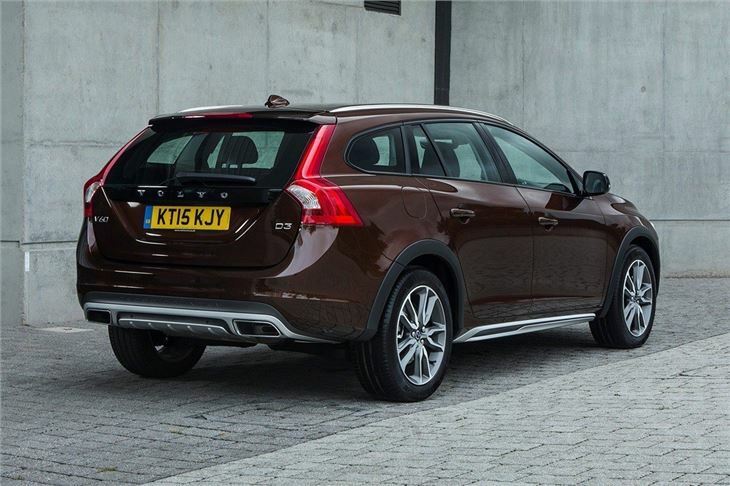 And, if you’re not really sure what you want, you can have a Volvo V60 Cross Country, which is a sort of mash-up of the two. 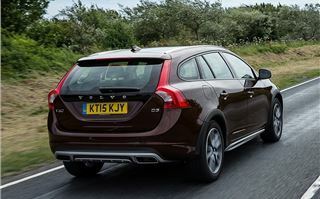 Really, it’s more V60 than anything else, but to make it into a Cross Country model Volvo has cranked up the suspension by 65mm and attached various black plastic bits, including wheel arch cladding and new bumpers. Power comes from either a D3 diesel with 150PS or a D4 diesel with 190PS, the latter of which is available with all-wheel drive. Most of the range is front-wheel drive, though – this is less of an off-roader and more of a ‘lifestyle’ car, to use the marketing speak. In plain English, that means it’s meant for people who do outdoor things like cycling, climbing or horse riding – activities that might require the use of a narrow road or an unpaved, rutted track. For that sort of driving there’s no real need to have all-wheel drive, but a bit of additional body protection will help when scraping along overgrown verges, while the increased ride-height will give some extra clearance over potholes and ruts, or in poorly-maintained parking areas. For those who really do need all-wheel drive it is available but it’s roughly £3000 more and only comes with an automatic transmission and - confusingly - despite being called D4, it's actually a different five-cylinder engine. We tested the more powerful 190PS engine with front-wheel drive and a manual transmission. 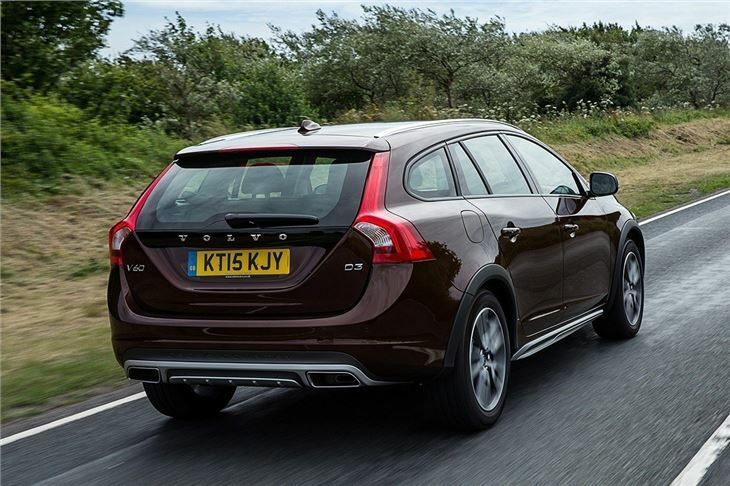 It’s a decent performer – 0-62mph takes 7.8 seconds and there’s a hefty 400Nm of torque from 1750-2000rpm. For overtaking or accelerating up a slip road it’s ideal, plus it remains fairly quiet and hushed unless pushed hard, when it starts to clatter like a typical diesel. Despite its impressive performance the D4 has an official economy figure of 67.3mpg and emits just 111g/km of CO2, so it’s cheap to tax and easy fuel. Opting for all-wheel drive increases emissions to 149g/km, while fuel economy drops to 49.6mpg – so unless you really need the extra traction it’s probably best avoided. 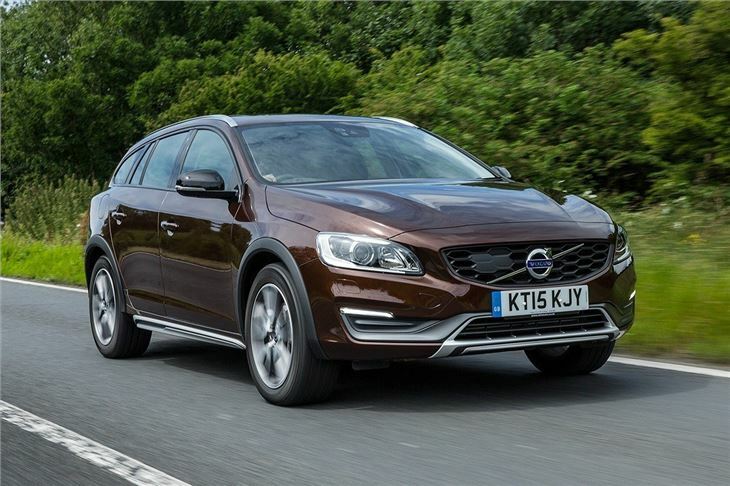 Through corners the V60 Cross Country is stable and predictable, with fairly accurate steering and good body control, despite the raised ride height. The suspension does a good job of absorbing bumps and potholes on the whole, but can get a little jiggly and bouncy over particularly poor surfaces. A low-speed emergency automatic braking system is fitted as standard, plus there's a range of optional safety gadgets including pedestrian and cyclist detection, adaptive cruise control and a system that will stop, start and drive the car automatically in very low-speed traffic jams – though this is only available with the automatic transmission. 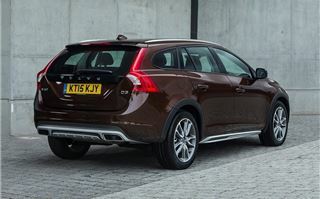 Inside, the V60 Cross Country feels sturdy and fairly plush, but the small infotainment screen and centre-stack layout feel very out of date compared to the seriously impressive new touchscreen in the new XC90. Cruise control, DAB radio, Bluetooth, hill start assist, rear parking sensors and 17-inch alloys are standard while Lux models gain a TFT instrument binnacle and cornering xenon headlights, among other things. 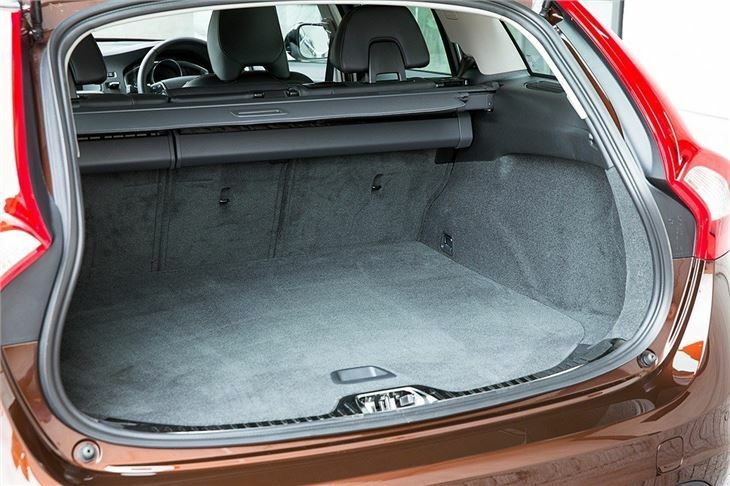 There’s plenty of space in the back row and, while the 430-litre boot isn’t great compared to a Ford Mondeo Estate or even a Focus Estate, it’s still usefully large. Access is good thanks to a wide opening tailgate, plus loading and unloading is made easy thanks to a flat load lip. 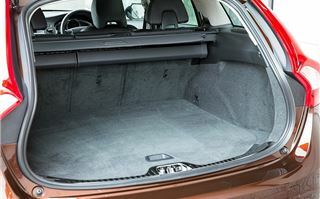 Folding the rear seats down increases load capacity to 1241 litres. 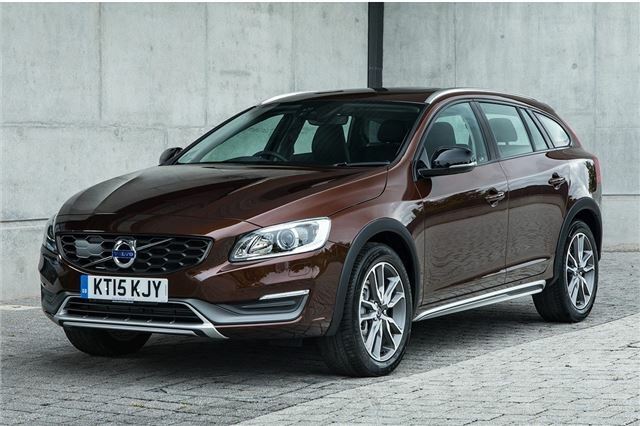 There is a fairly wide range of exterior colours, interior finishes and seat upholstery options, plus a wide range of options packs including safety systems, integrated rear booster seats, heated windscreen and a reversing camera. These can add quite a lot to the list price, so make sure you can get all the gadgets you need within your budget. 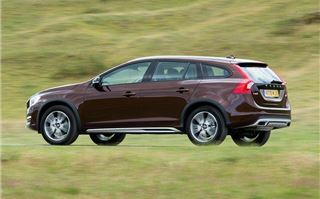 If you want off-roader looks but a proper SUV isn’t your cup of tea then the V60 Cross Country will probably hold some appeal. 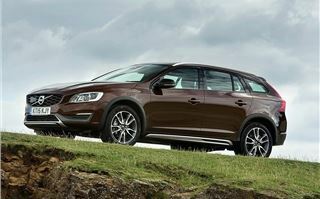 However, a Skoda Octavia Scout costs roughly £5000 less and comes with all-wheel drive as standard. Additionally, for roughly the same price as a front-wheel drive V60 Cross Country you can get an all-wheel drive Volkswagen Passat Alltrack. 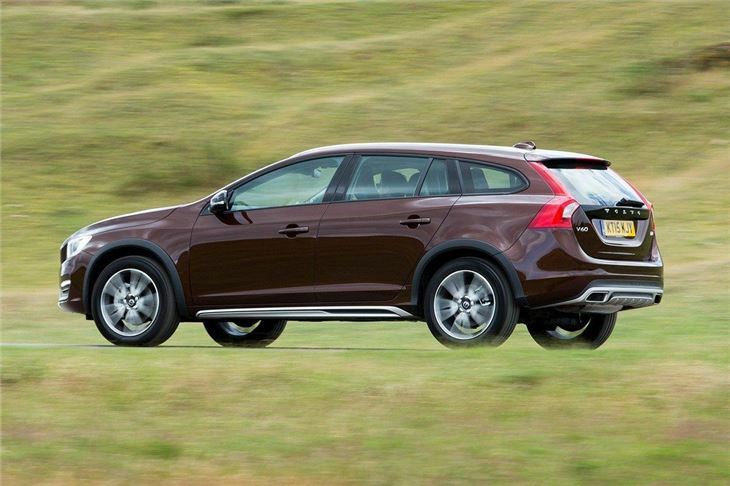 That limits the V60 Cross County’s appeal to true Volvo fans alone.